*Increase your linkability – This is the first and most important priority for websites. Many sites are "static" – meaning they are rarely updated and used simply for a storefront. 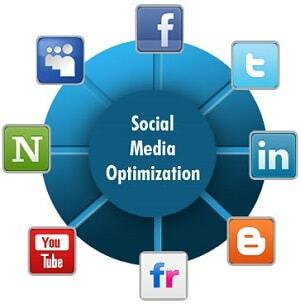 To optimize a site for social media, we need to increase the linkability of the content. Adding a blog is a great step, however there are many other ways such as creating white papers and thought pieces, or even simply aggregating content that exists elsewhere into a useful format. *Make tagging and bookmarking easy – Adding content features like quick buttons to "add to del.icio.us" are one way to make the process of tagging pages easier, but we go beyond this, making sure pages include a list of relevant tags, suggested notes for a link (which come up automatically when you go to tag a site), and making sure to tag our pages first on popular social bookmarking sites (including more than just the homepage). *Reward inbound links – Often used as a barometer for success of a blog (as well as a website), inbound links are paramount to rising in search results and overall rankings. To encourage more of them, we need to make it easy and provide clear rewards. From using Permalinks to recreating Similarly, listing recent linking blogs on your site provides the reward of visibility for those who link to you. *Help your content travel - Unlike much of SEO, SMO is not just about making changes to a site. When you have content that can be portable (such as PDFs, video files and audio files), submitting them to relevant sites will help your content travel further, and ultimately drive links back to your site. *Encourage the mashup – In a world of co-creation, it pays to be more open about letting others use your content (within reason). YouTube's idea of providing code to cut and paste so you can imbed videos from their site has fueled their growth. Syndicating your content through RSS also makes it easy for others to create mashups that can drive traffic or augment your content.